ZANESVILLE, Ohio. – The Animal Shelter Society is looking for volunteers to help out with daily activities including adoption events and around the shelter. Animal Shelter Society Volunteer Coordinator, Brianna Bice said she has been working there for a short time, but absolutely loves working with the animals. there is a variety of volunteer opportunities that the shelter is looking for. “We are actually in need of volunteers to come out and do the adoption events as well as we’re actually looking for volunteers who want to spend more time at the shelter that are actually going to be training dogs,” said Bice. The shelter said if you’re looking to apply for a job it is a really easy process. All you have to do is head down to the Animal Shelter Society and talk with her about becoming a volunteer. She said it is a great opportunity to help out the animals, train the animals, and it just puts a smile on your face to see the animals. “So we are looking for people that want to come out five or six days a week to volunteer their time and we can pair up with certain dogs. that way we can do more training with the dogs in the shelter,” Bice added. 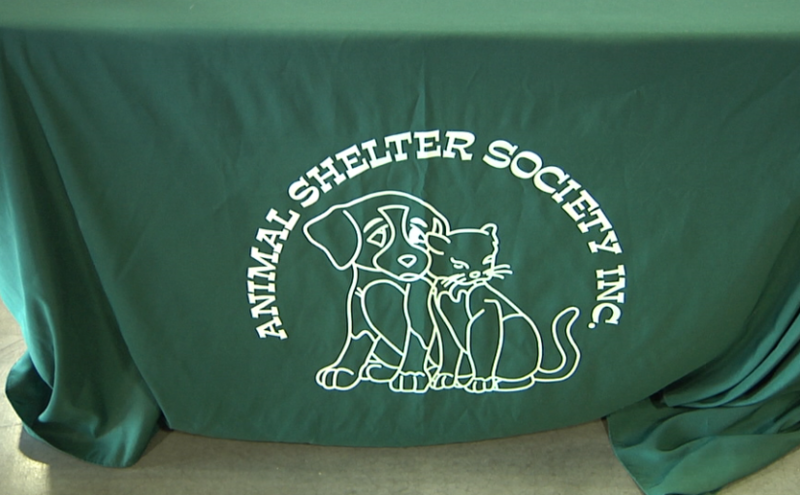 The Animal Shelter Society is looking forward to getting more volunteers to help out. They are looking for hard workers and people that love animals.